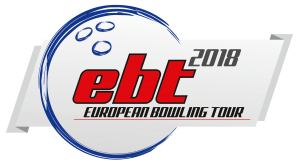 The 12th edition of the EBT Masters, the EBT Masters 2019, will be conducted in Bowling Chamartin, in Madrid, Spain on 4 July 2019. The EBT Master 2019 is conducted on Thursday morning/early afternoon during the week of the VII Brunswick Madrid Challenge, which will be conducted on 29 June to 7 July 2019 in the same centre. The 8 highest ranked women and the 8 highest ranked men, by the conclusion of the European Bowling Tour 2018, are qualified for participation in the EBT Masters 2019. In cases of excuses, the next on the ranking lists are called –but this time all top 8 – both women and men, have announced their participation.